Stratiolaelaps scimitus (formerly Hypoaspis miles) – The soil-dwelling mite that consumes thrip pupae in the soil or media. Stratiolaelaps work well in concert with the other thrip controls listed. As an added bonus — the mites also consume fungus gnat larvae, springtails and other soil pests. 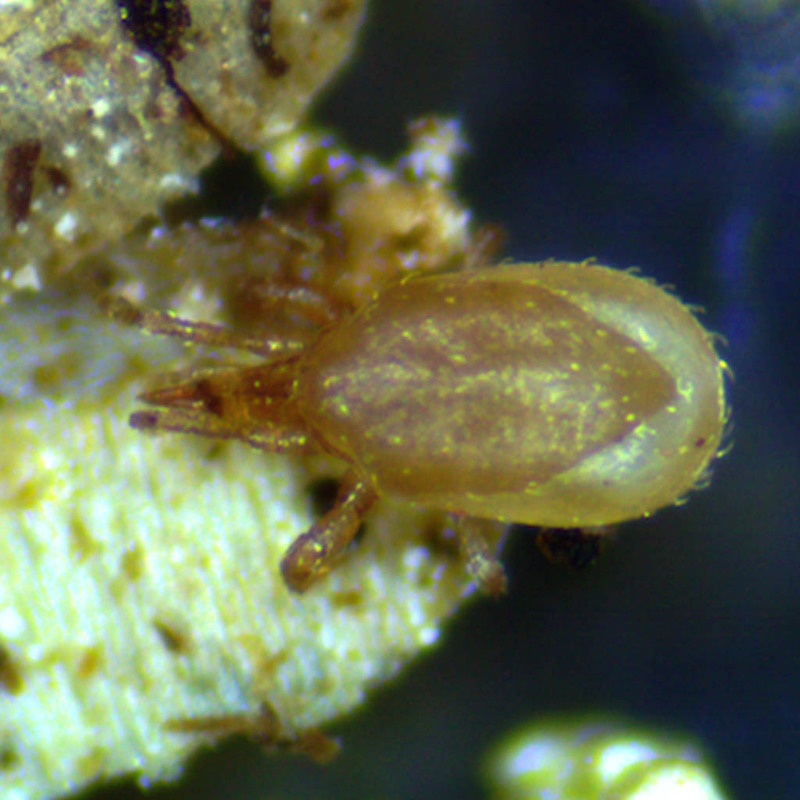 Stratiolaelaps scimitus (formerly Hypoaspis miles)– The soil-dwelling mite that consumes thrip pupae in the soil or media. Stratiolaelaps work well in concert with the other thrip controls listed. As an added bonus — the mites also consume fungus gnat larvae, springtails and other soil pests. Shipped with some prey mates.